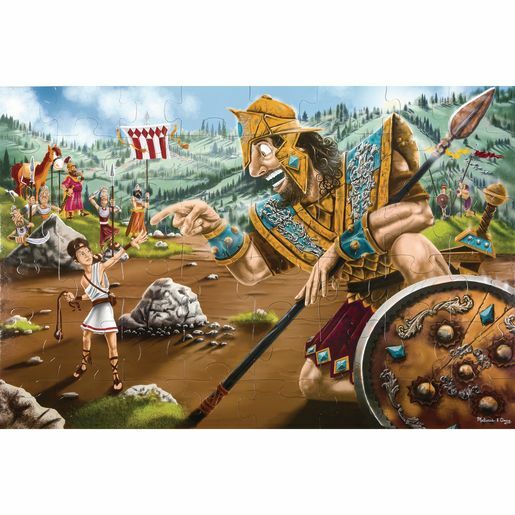 This richly illustrated floor puzzle is a fun way to introduce the story of David and Goliath to children. Puzzle features 48 large, easy-to-clean pieces that help keep the puzzle looking new for longer. Finished puzzle is 2'L x 3'W.